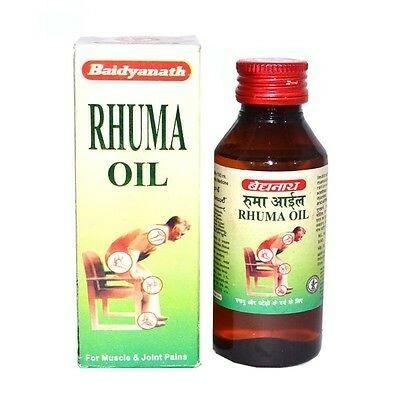 Baidyanath Rhuma Oil is very safe and soothing & gives excellent results in frozen shoulder, Arthritis, Gout, Lumbago, Sciatica and other related joint pains. Just a light application gives relief from agonizing joint & muscle pain. 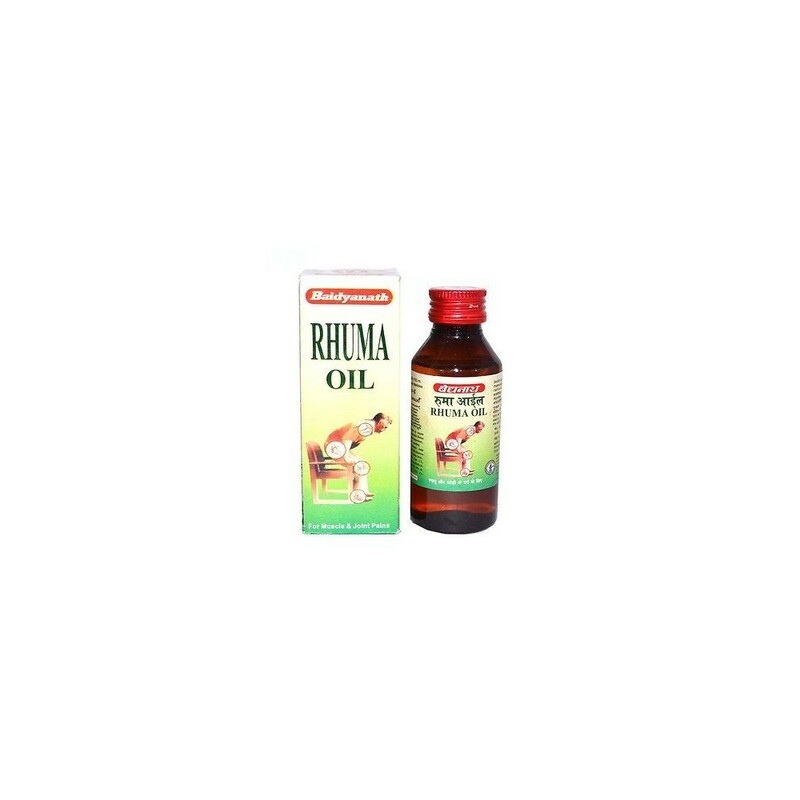 This Ayurvedic oil is an answer to pains caused byRheumatism, Arthritis , Gout, Sciatica, Lumbago or Spondylosis. Also highly effective in muscle trauma, soft tissue injuries, sprain etc. Ideal for athletes as the application helps relax muscles and helps in fast recovery from sports injuries. What is Baidyanath Rhuma oil ? Castor seeds poultice can be applied on frozen shoulder, gout & rheumatic swellings with beneficial results. A decoction of the roots of castor plant with potash carbonate is very helpful in treating lumbago & rheumatism. Ashwagandha is included in many combination formulas to treat a variety of ills. It is being promoted as an aphrodisiac. A natural anti-inflammatory agent, ashwagandha helps to reduce the discomfort associated with arthritis. Ashwagandha is said to be useful in the treatment of inflammatory conditions, ulcers, and scabies when applied topically. Asparagus Root is a highly regarded herb worldwide. Asparagus is used by homeopaths in the treatment of rheumatism and edema due to heart failure. This herb is considered a diuretic, and will clear sediment from the bladder. It also has laxative properties. Asparagus is also high in folic acid, which is essential for production of new red blood cells. Apply on effected area twice daily. 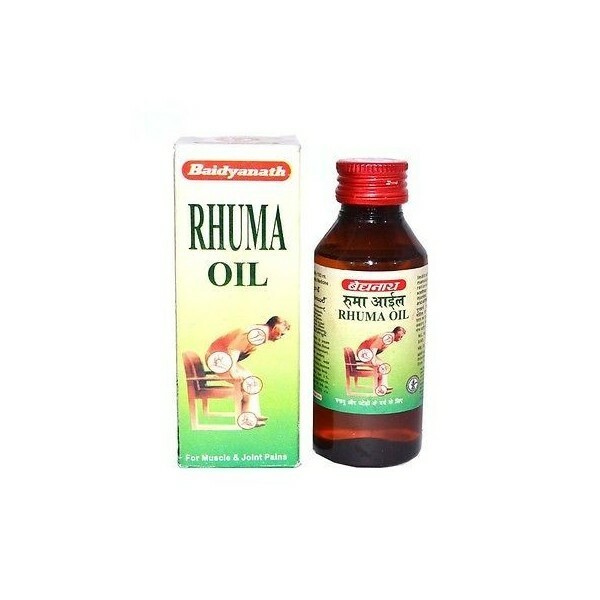 Rhuma Oil - for joint & muscle pain.